Quick post because I want to get to bed early before work tomorrow. 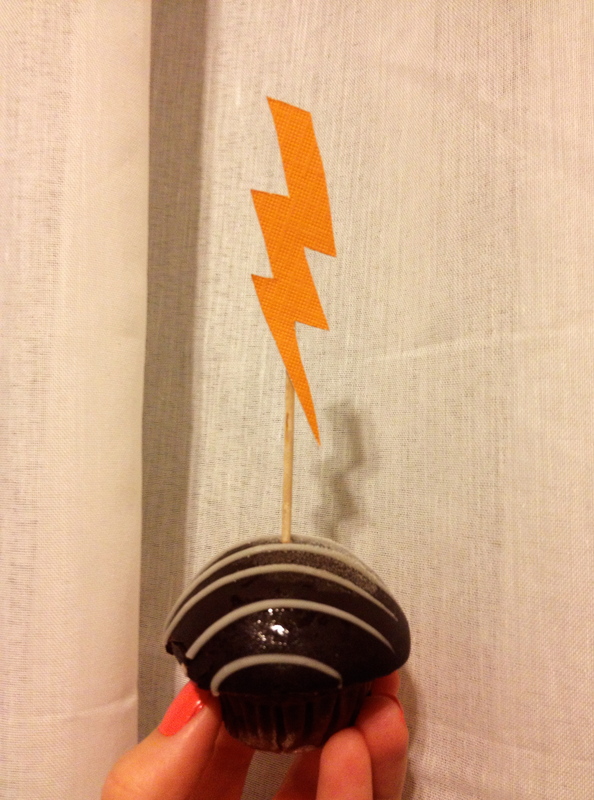 Tonight I made a ‘lightening’ cake topper. It’s not a new theme, just an extension on the past two weeks of clouds and rain drops. It makes me think of Harry Potter!